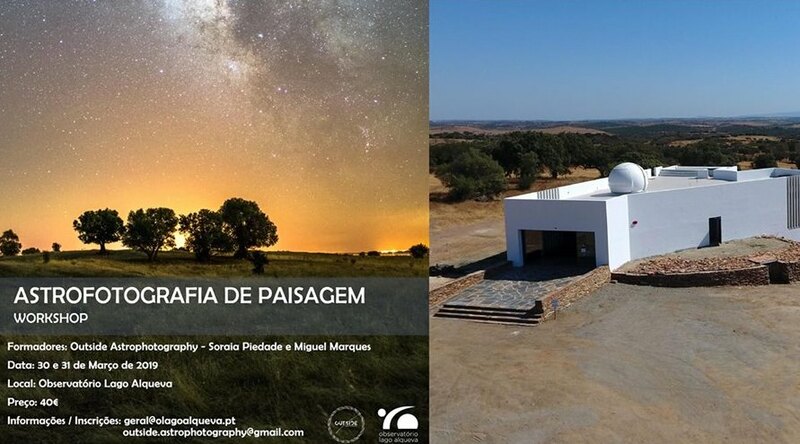 Landscape Astrophotography Workshop coordinated by Outside Astrophotography and directed by Soraia Piedade and Miguel Marques. Basic knowledge of how your camera works such as aperture, ISO and exposure time. – Laptop with Photoshop and Lightroom. • Exercise session in the Observatório Lago Alqueva field. • Photo edition of the photos obtained during the previous night. Registration up to two days before the starting date. Please send an email to geral @ olagoalqueva.pt with the subject “Astrophotography Workshop”.